i Know Where i is Going, Do You? IBM i is uniquely positioned to support modern environments and modern technologies, allowing clients to achieve and maintain a competitive advantage in their business. IBM is continually adding new capabilities to the Operating System and other portfolio products. 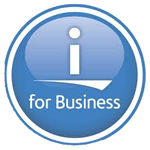 These enhancements increase the core characteristics about IBM i as well as extending their value to your business. As we discovered during the 30th Anniversary Celebrations, we are not the only ones doing innovative work with IBM i, so are our clients. The integration, reliability and availability of IBM i make it the perfect launching pad for developing and integrating the latest in Cognitive, mobile and more. IBM i, with its integrated database, linkages to the latest programming languages, and connections to the very latest cognitive applications is more relevant to your business than ever before. The Westbury Manor is located at 1100 Jericho Turnpike Westbury, NY 11590. (see map at bottom). Their telephone number is (516) 333-7117. Please note: the restaurant does NOT take reservations for the LISUG meeting. This option includes a annual LISUG Membership , prepaid attendance at 8 General Meetings and the Annual Education Day , and can be paid by cask, check, or PayPal.The savings for this option includes the $75 Membership Fee , and $25 per meeting (based on the Non-Member rate), for potential annual savings of approximately $300. This option can also be shared by different employees of the same company. An annual LISUG Membership represents a savings of $20 for each meeting attended and includes the members-only participation in LISUG's group memberships in LISTnet and COMMON. Note: Savings are based upon attending all of the remaining meetings at renewal time. We have also changed the new and renewing Membership process. It is now simply an option on the Registration Page for each meeting. Discounted Monthly Meeting fees ($15-20). LISUG Group COMMON Membership ($156.00 value). Free and/or discounted COMMON online learning courses. LISUG (the Long Island Systems Users Group) was originally formed in 1984. Started originally as the Long Island System/38 Users group by a number of System/38 users and with IBM's help, it has become one of the largest and most technical user groups in the country. When IBM announced the AS/400, LISUG decided to drop its System/38 name to become the Long Island Systems Users Group, now chartered to advance the knowledge of all computer users on all platforms. LISUG hosts dinner meetings at the Fox Hollow Inn in Woodbury, NY (call (516) 921-1415 for directions) usually on the third Wednesday of each month September through June (no meetings held during July and August unless a special meeting is convened by the Board of Directors). The meetings begin at 6 PM and end about 9:30 PM. The format of the meeting is a cocktail hour from 6 - 7 PM, with scrumptious hors d'oeuvres and open bar (use this time to network with your peers), followed by a sit down dinner beginning at 7 PM (during dinner we have a Q/A session that is most interesting), sometimes we are treated to a wonderful buffet! The balance of the meeting (usually 8 PM - 9:30 PM) our speaker gives his/her presentation (stay after the presentation and quiz the people that are developing the latest hardware and software technologies!). LISUG attracts some of the industry's top speakers, including folks from IBM Rochester and Toronto labs. Reservations for the dinner meeting are not required, but are appreciated. To make your reservation, please click on the meeting registration link. You do not need to join LISUG to attend its meetings, however, there is a monetary incentive to do so! You can save up to $100.00 as a member attending all 10 meetings. Members pay $65.00 a meeting whereas non-members pay $85.00 (saving $180.00). You can save an additional $50.00 annually if you pre-pay your meeting fees. Members also benefit because LISUG is a member of the national IBM user group COMMON, so if your organization is not a member of COMMON but do attend its conferences this can save your company hundreds of dollars on COMMON registration fees. So! Check us out, come to a meeting, query our Directors and Officers, question the expert speakers, save time and money while advancing your knowledge and career!! There Shall be No Vendor Initiated Sales Contacts with Attendees at USERS GROUP Meetings. There Shall be No Vendor Displays at Meetings Unless Approved by the Board of Directors in Advance. There Shall be No Vendor Sales Presentations Initiated at Any Regularly Scheduled Meetings Unless Approved by the Board of Directors in Advance. Sales Notices of Any Type are Not to be Placed on Bulletins Boards, Left on Tables, or Made Publicly Available. Offers of Employment are Not to be Made at Any Time at Meetings. Long Island System User's Group. We are an organization dedicated to the education of system professionals that utilize the IBM power platform including AS/400, iSeries, and System i. Our meetings are held once a month (with the exception of June, July and August). The meeting format usually consists of a pre-meeting followed by a cocktail hour, which is then followed by dinner and the main presentation. In the month of May we usually hold our May Education day in which the format is different. Our wide variety of speakers and members provide for a very interesting and knowledgeable experience. Should you have any questions, you may contact one of our organizations directors or board members who can assist you. There are many benefits to becoming a member of LISUG. These benefits include the following. Annual PrePay option. (Pay once for ALL meetings at a reduced rate) $300.00 Savings. Free and discounted Common learning courses. Discounted fees to LISUG special events.